PARTNER NEWS: Tasmania-based Old Kempton Distillery is using HID Global’s Trusted Tag technology to combat counterfeiting of its whiskies and gins — and to drive personalized and ongoing engagement with customers after they make a purchase. “Counterfeit product is a big problem, particularly in the whisky industry,” Robbie Gilligan, the distillery’s business manager and brand ambassador, explains in a case study available to download from the NFC World Knowledge Centre. The distillery’s brand protection and customer engagement solution combines HID trusted tags with a web application developed by local integrator AusNFC. 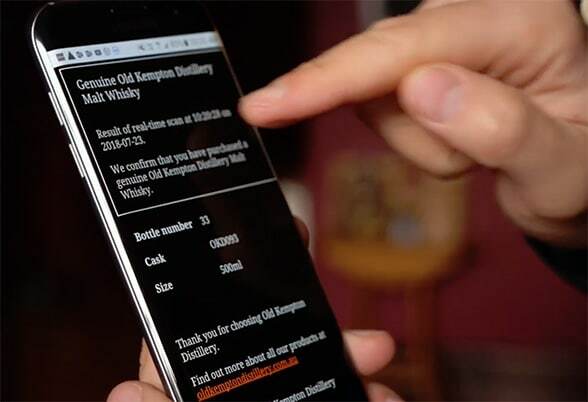 The app supports both Android and iOS tag reading, enables customers to authenticate the product at the point of sale — and lets Old Kempton Distillery stay connected with customers post-sale via personalized communications. Readers interested in learning more about how the solution works and the thinking behind Old Kempton Distillery’s decision to add NFC tags to its products can download the case study from the NFC World Knowledge Centre.